can I interest you in some delicious cucumber water? Thanks to Jocelyn from The Home Tome for her shout-out. 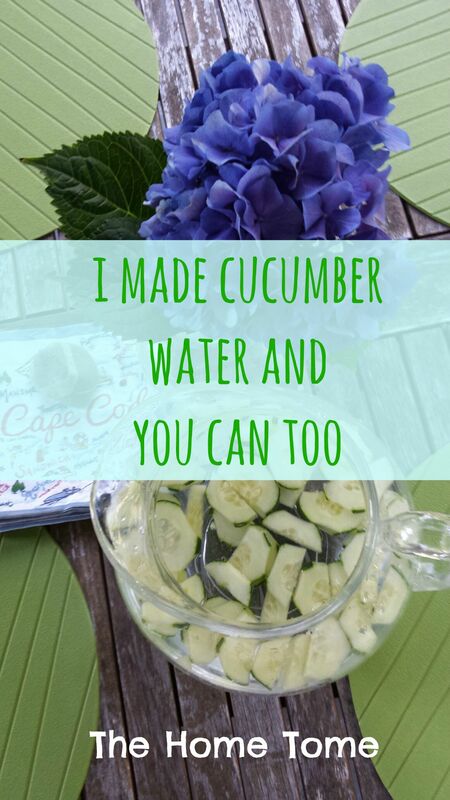 What follows is a recipe for cucumber water. If used correctly I believe it could be turned into a philosophy, a political movement, or a cure for…Everything. Go over to your friend Sara’s house for a series of play dates, birthday parties, and other occasions where she is serving special water in a special pitcher with special green discs floating cheerfully on the surface. Guzzle several glasses each time you visit, in a state of extreme ecstasy. Wave people off when they try to start a friendly conversion with you. Because you are concentrating. On your taste buds.